We offer structural evaluations and forensic studies for new loads, catastrophic events, long-term deterioration and historic restorations; serving as expert legal witnesses where needed. 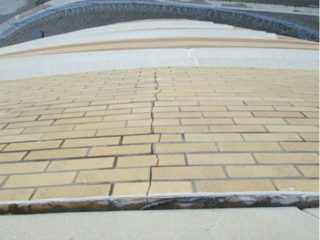 An addition constructed to the jail in 1993 resulted in significant problems with the exterior brick facade, including cracking and shifting of brick away toward the exterior, creating a dangerous situation. 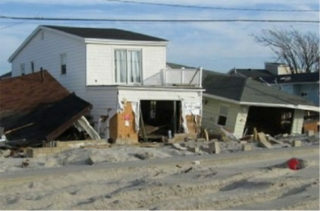 The devastation unleashed by Hurricane Sandy in the New York and Jersey shore area affected millions. JDH Engineering helped families move forward by providing hundreds of residential inspections, with the goal of determining what types of damage in the home were pre-existing and what was caused or exacerbated by the storm, as well as recommending methods of repair and restoration. Our reports were used to assist insurance companies in determining the appropriate course of action, and to help speed along the process for families to restore their properties. 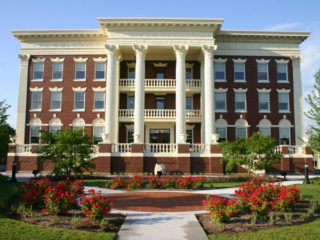 Originally constructed in the early 1900s as a polio treatment facility, the building had undergone several expansions and conversions to other uses. We were retained to look at the feasibility of restoring the front of the building to its original character. Non-descript additions were removed and the front façade was restored to its early architecture, included significant structural reconstruction of the exterior and repair to the deteriorated roof and floor structure to house a non-profit, low income housing advocacy group. Opened in 1938, and once billed as "one of the most modern theaters in the State of Michigan," the Vogue Theater was renovated in 2013 to become the beautiful landmark that so many Manistee residents remember. Part of this renovation required restoration of the north and east exterior walls and replacement of building structure that had undergone severe rusting, damaging the brick and plaster façade in the process. This deterioration over time was caused by the intrusion of moisture into the wall. Restoration of the façade included measures taken to properly manage the moisture and vastly improve on the building envelope. 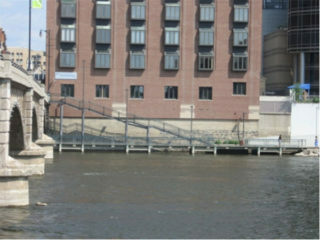 This historic structure, whose west wall is constructed on top of the river wall in downtown Grand Rapids, had undergone significant vertical movement, cracking, and spalling at its foundations. In addition, there was severe deterioration of the concrete floor and wall on the interior of the basement. Where others had recommended complete replacement of the wall at an estimated cost of $2.5 million, JDH Engineering teamed with Materials Testing Consultants to investigate the problems more closely, determine its causes, and develop ways to significantly add strength to the wall in situ. The association saved approximately $1.75 million by restoring the wall based on our recommendations, rather than replacing it.